July 1946. New York. 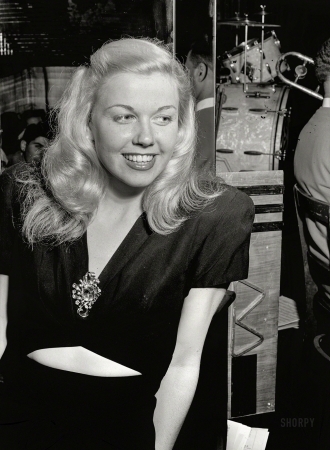 "Doris Day at the Aquarium, jazz club on Seventh Avenue."